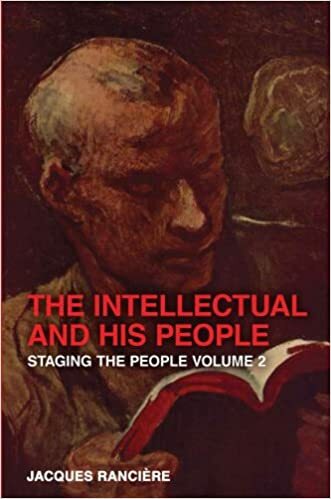 Following the previous volume of essays by Jacques Rancière from the 1970s, Staging the People: The Proletarian and His Double, this second collection focuses on the ways in which radical philosophers understand the people they profess to speak for. The Intellectual and His People engages in an incisive and original way with current political and cultural issues, including the “discovery” of totalitarianism by the “new philosophers,” the relationship of Sartre and Foucault to popular struggles, nostalgia for the ebbing world of the factory, the slippage of the artistic avant-garde into defending corporate privilege, and the ambiguous sociological critique of Pierre Bourdieu. As ever, Rancière challenges all patterns of thought in which one-time radicalism has become empty convention.